This is an excerpt from the autobiography of prominent lawyer Subhas Anandan who wrote of his experience with Francis Seow, the self-exiled former Solicitor-General and politician, who is now living in the United States. 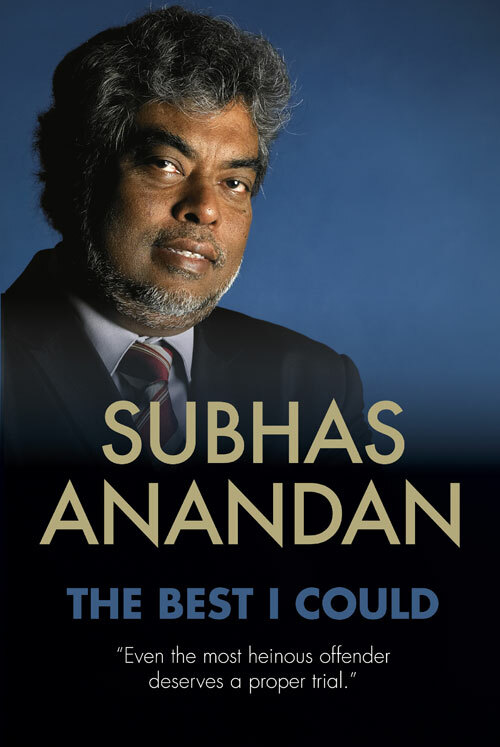 In Subhas words, he described Seow as someone who is fuelled by deep-seated motives but did not have what it took to be a leader. Seow still owes Subhas $25K, a huge sum of money in the 1980s. Teo Soh Lung, on the other hand, was said to have strong principles and believed in fair play. I consider the Law Society Council’s decision not to adduce evidence against me when the complainant was none other than the Attorney-General to be a very courageous act. The Law Society stood by a member to ensure that he was not bullied. I look upon this as its finest moment. I believe the reason the Law Society Council took that stand was partly due to the calibre of its members, with the likes of Teo Soh Lung, a lawyer who was later detained for what she believed in as a member of the council. There were many others like her who had very strong principles, who believed in fair play and that no one should be bullied. The other time the Law Society stood out, when lawyers walked with pride, was when Francis Seow was its president. It would subsequently be proven through that many of his actions were fuelled by deep-seated motives or what one would consider as personal desires. Whatever his motives may have been, the way he conducted himself as president and the speeches he made had lawyers walking with their heads held up high. We had the feeling that we would not be trampled upon. We had a leader who would stand by us. Little did we know that the same leader would someday pack up his things and slink away from Singapore leaving behind a lot of disillusioned people who believed in him. There were also those who gave him money. He still owes me $25,000. I suppose if should say goodbye to it. 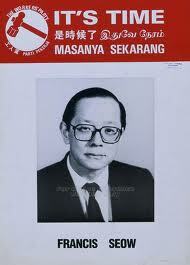 Most of all, there were many who thought that he would open up a new chapter in Singapore politics. But he was a disappointment and a disaster. He didn’t have the moral courage to return to Singapore to face income tax charges even if he was convicted of those charges, it would have only amounted to a fine but he was not prepared to take the risk. In the final analysis, he was after all, nothing. A man who spoke well – his eloquence was often very charming – but other than that he did not have what it took to be a leader. He was not prepared to go through the test of fire which all politicians must face. Whatever you may say about Lee Kuan Yew, Goh Keng Swee and the other first-generation PAP leaders, they all went through their “baptism of fire” and came out stronger. It is a pity that Francis Seow was not made of sterner stuff. Francis Seow was the reason behind the 1986 amendment to the Legal Profession Act. Section 38(1) was introduced to prevent the Law Society from commenting on any legislation that was passed by the government. Francis Seow was making use of the Law Society as a sort of political platform to attack the government and to make political in-roads with the Singapore public. Lee Kuan Yew, the Prime Minister then, did not like it at all. In fact, there was a Parliament Select Committee hearing for which I was subpoenaed along with many council members including Francis Seow, who was then president of the Law Society. Those who were there at the hearing will remember the confrontation between Francis Seow and Lee Kuan Yew. Most of them said that Francis Seow had the upper hand. When the hearing was over, I remember asking him about what I had heard. He told me: “Well, when I was solicitor-general, there were many instances when it was only between me and the PM. So, when I said these things happened, and if they didn’t, there was nothing he could do because it is his word against mine.” I honestly thought that when you lie so glibly like Francis Seow, it must have astonished Lee Kuan Yew that a man can like that well. I think in an interview Lee himself asked how can one handle somebody who tells lies. When we were going through this turmoil in the Law Society, the trouble and confrontation with the government, and changes in the law, I couldn’t help but think of what my good friend Chelvarajah, a person whom I have a lot of respect for, told me a long time ago. He said “Subhas, you do not know Francis Seow. He can be a dangerous person.” How true his words were.